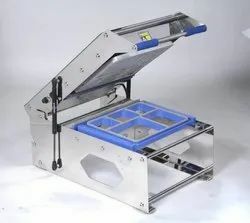 Our product range includes a wide range of 8 portion meal thali sealing machine, 5 portion meal thali sealing machine, thali sealing machine, thali packaging machine, food tray sealing machine and thali packing machine. 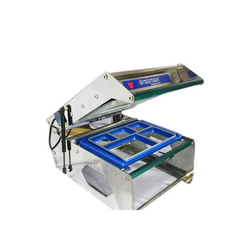 We Are One of the Leading Preparer and of Thali Sealing Machine. We Obligated to Meet the Quality Standards As Per the Customer Demand. 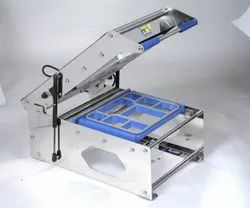 Thali Sealing Machine to our patrons. This product is fortified with quality assured components and provides precise results due to its exceptional calibration system. All our products are fabricated under strict supervision for skilled professionals using optimum-grade raw material. Designed in detailed manner, this product is delivered within prearranged time frame.